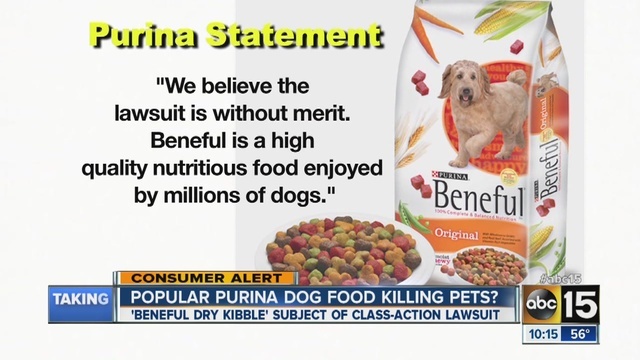 Recently Purina has been hit with a glut of bad press..
Nestlé Purina PetCare Co. is defending its Beneful brand pet food after a class-action lawsuit claimed the product has poisoned and killed thousands of dogs. Lucido took one of his sick dogs to the vet for an examination. Tests “revealed signs of internal bleeding in her stomach and liver malfunction consistent with poisoning,” the lawsuit said. Pet food company takes on consumer accusations, hopes veterinarians will get #AskYourVet trending. Nestlé Purina PetCare Co. has launched a new marketing campaign in the wake of pet owner accusations against Beneful pet food that has social media and online forums atwitter with claims that Beneful harms pets. The “I Stand Behind Beneful” campaign aims to tackle accusations head on. Ads feature Purina associates who share their confidence and pride in the brand. Purina has coined the hashtag…Ask Your Vet, assuming veterinarians are ‘on side’, lending credibility to their food..
> Remember to #AskYourVet if you are concerned about your pet’s health. Information found online is often unsubstantiated. > Are you concerned about your pet’s health? #AskYourVet—don’t rely on rumors and misinformation found online. Are some of the ingredients in Beneful potentially harmful? Could Purina not respond in a more respectful way, potentially eliminating some of the possibly toxic ingredients, such as propylene glycol? Do I feed, or advise that you feed your pets Beneful? Ground yellow corn, chicken by-product meal, corn gluten meal, whole wheat flour, animal fat preserved with mixed-tocopherols, rice flour, beef, soy flour, meat and bone meal, propylene glycol, sugar, tricalcium phosphate, salt, phosphoric acid, potassium chloride, animal digest, sorbic acid (a preservative)..
Three of the 1st four ingredients are a carbohydrate. I don’t advise you feed this to your pets, and I suspect most veterinarians won’t advise that you feed Beneful…especially in light of the unexplained deaths. Acknowledge that there may be a problem with your food. Do what you can to make it healthier, and still affordable.